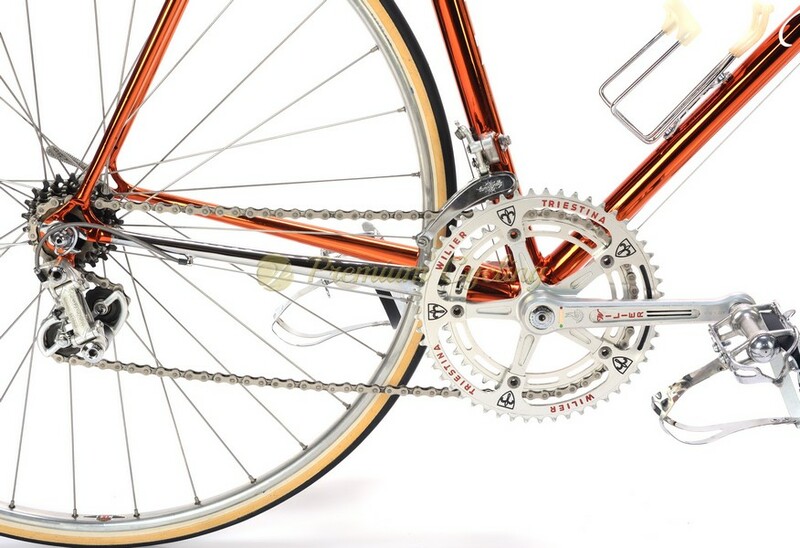 Happy to offer one of the most beautiful bikes ever – Wilier Triestina Ramato / Ramata (Ramato means copper plated in Italian). The frame (no.223) is made of Columbus SL, showing beautiful engravings and stunning Wilier head badge on the headtube, build with superb Campagnolo Nuovo Record groupset, with pantograph stem, seatpost and crankset. 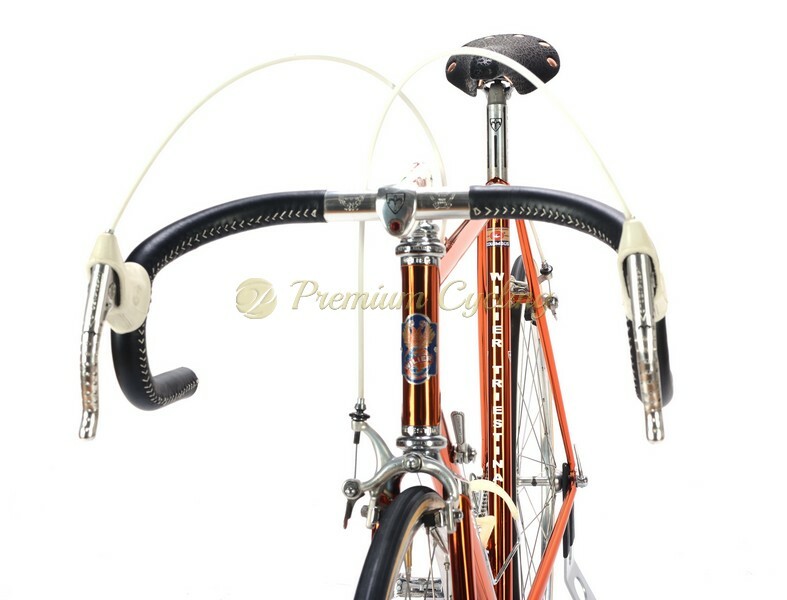 Amazing leather handlebar wrap added as well. Love at first sight. 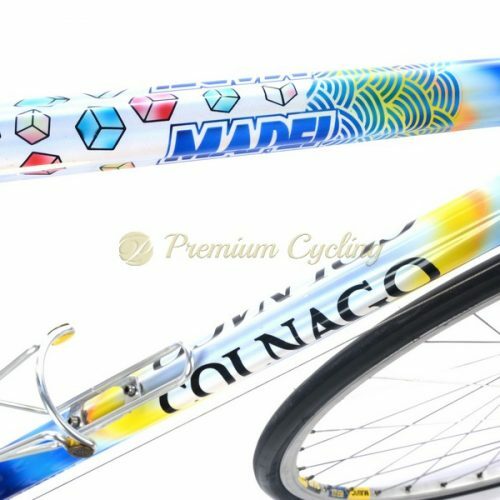 Perfect for every vintage bike collection. Ready for any historic cycling event. Condition: Used, but in excellent conditon. 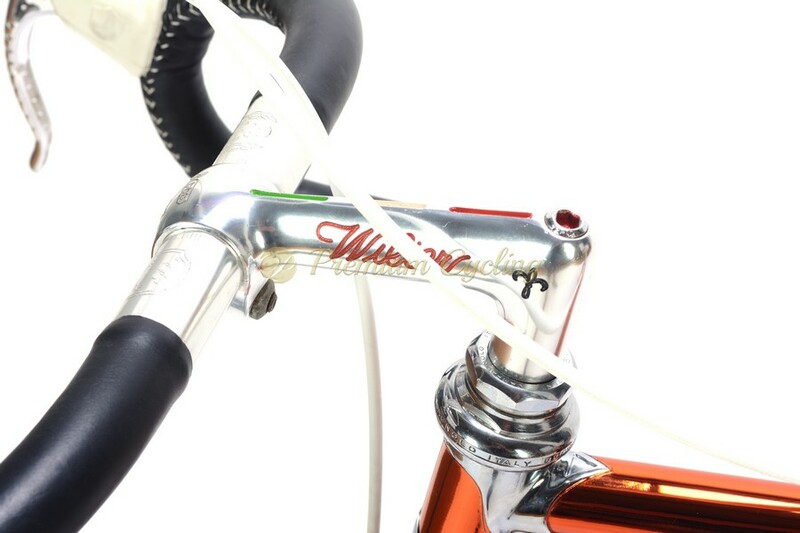 The frame was completely refubrisehd by Wilier Triestina, never riden since then and has has no cracks and is not bend. All parts are in excellent condition and are working fine.